Does your Genesis need a 32-bit mushroom thingy to sit on top of it? 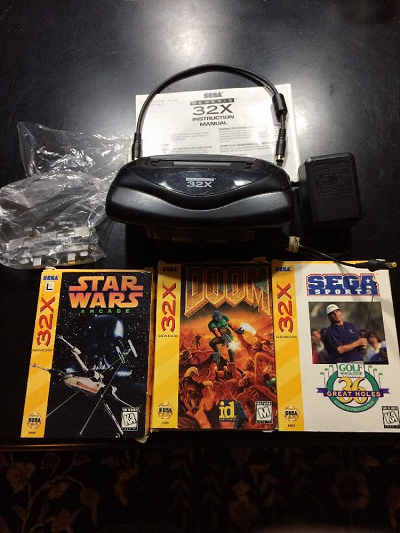 Ah, well, then I do suggest you take a look at this Sega 32X eBay auction. You'll get the (fully working) console add-on complete with manual and all leads, and also three games complete in their respective boxes: Star Wars Arcade, DOOM, and Sega Sports Golf.